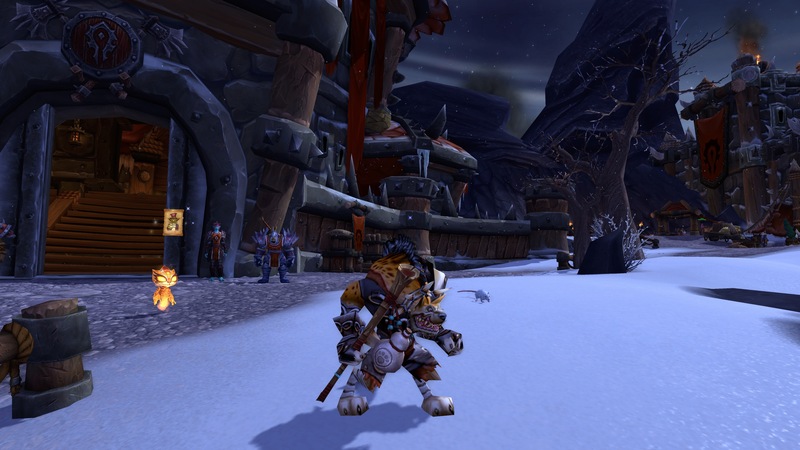 It’s WoW’s 11th birthday! And boy did we get some goodies this year. The one that everyone is talking about (because everyone always talks about it!) is the Inflatable Thunderfury, Blessed Blade of the Windseeker. I’ve only ever had one in Diablo, so this was a novelty for me. 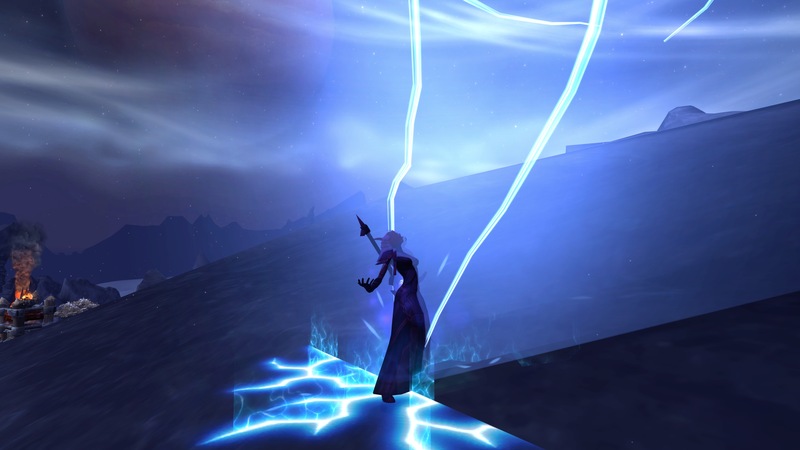 My favourite thing about it, though, is that when you equip it, a bolt of lightning shoots down on you from above! Very dramatic. 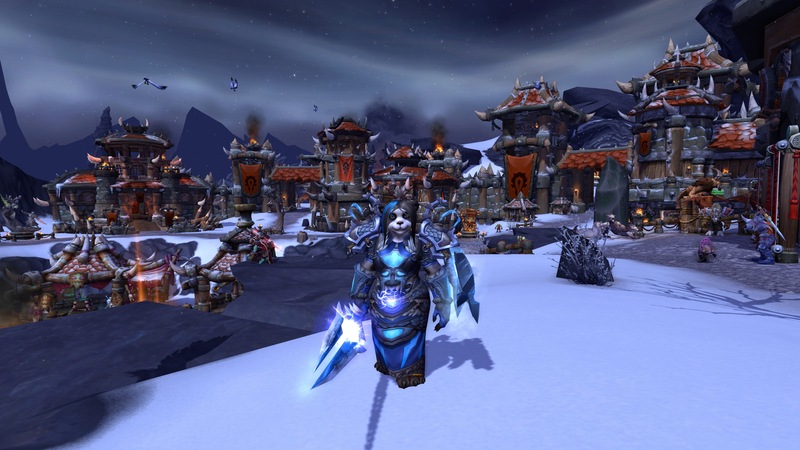 I also like that the weapon enchant transmogs that you have on your weapons also apply to “Inflatable” Thunderfury. 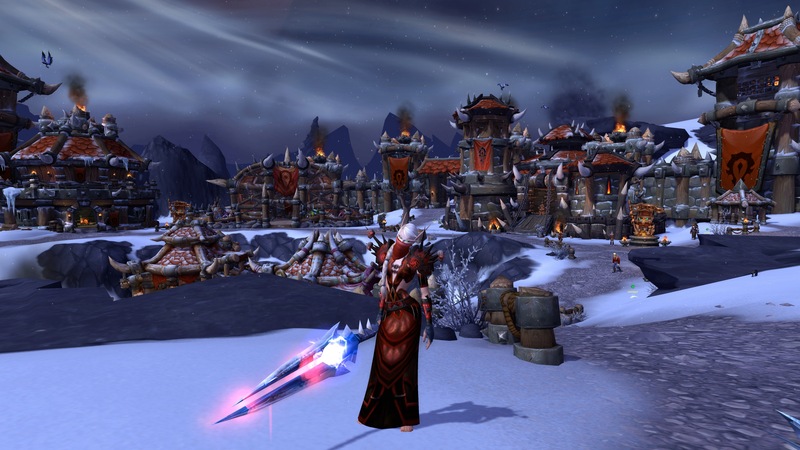 So my warlock, with her red set, looks kinda cool with a dripping red-tinged Thunderfury. Other gifts that we got were the usal experience boost, wands to turn you/party members in to a murloc or a Gnoll, and a costume to turn you in to Edwin VanCleef. I haven’t used that costume yet, so I don’t have any pictures, but you basically turn in to him. I really like these little gifts that we get each year. It doesn’t matter if they’re silly or pointless, to me it’s just Blizzard’s way of saying “hey, thanks for being here!”, to which I say “thanks for making a game that makes me want to stay!”.